Most teenagers love the idea of making some extra money. Some go for babysitting while others start a blog to make a quick buck. Interestingly, there are some really creative and innovative ways to earn some cash in a legitimate way. 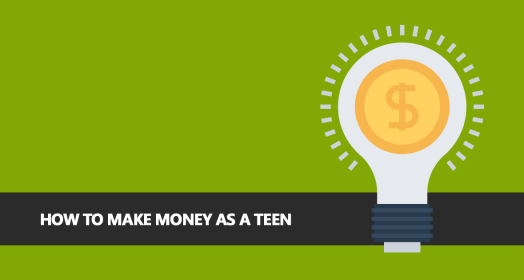 Here are some options on how to make money as a teen. Any skill or talent can come handy when trying to make money as a teen. From guitar to basic Spanish lessons, there is a demand for all sorts of skills. Just a couple of lessons can fetch a reasonable amount of money. There are plenty of sites where high-quality digital pictures are always in demand. In fact, most of these sites pay a very good amount of money for good pictures. Teenagers can choose the subject of their liking and start making money right away. Teens with a keen fashion sense can make a good deal of money. Personal shopping assistants are in great demand and fashionable teenagers have great prospects. As shopping assistants, teenagers need to simply assist their clients in finding the best thing to wear. Teenagers with a passion for writing can look at the freelance opportunities that are found online today. Several websites look for talented writers who can take up assignments. These websites pay really well too. A large number of teenagers are making money by simply posting YouTube videos online. From makeup tutorials to fitness tips, YouTube videos are helping teens to reach millions of people and make money. For those who want to use their creativity to earn money, selling homemade craft is a good idea. From jewelry and stationery to home decorations and wall paintings, homemade crafts can turn out to be an extremely profitable option. Inspiration can be found online. Quite a lot of businesses look for dedicated teenagers to handle their social media pages. Generally such pages cater to teenagers and businesses therefore, prefer hiring teens to manage these accounts. As a page admin, teens are expected to update the pages regularly, respond to queries and come up with interesting ideas to engage the audience. When it comes to making money, teens today have plenty of options to choose from. It is, therefore, essential to go for the option that appeals the most to them. By making the right choice on how to make money as a teen, teenagers can not only make good money but also gain some valuable experience that may come handy later on.